Wow! I had no idea when I started this, there would be such an incredible difference between the different seed starting methods. Holy Cow! Here are the seedlings started in the peat pots with seed starting mix. 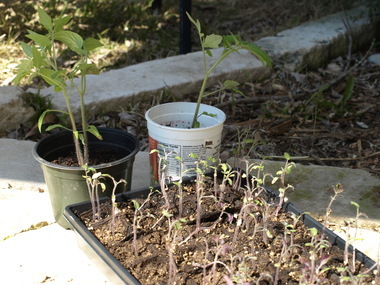 Here are the seedlings (by now real plants!) started in the peat pellets. I wish I had planted them all in the pellets! I potted up the pellet seedlings last weekend and am going to pot up the minis today or tomorrow. I noticed the underside of the leaves of the minis were purple and read on another post they needed phosphorus, so I added some organic fertilizer and have noticed the color is better. 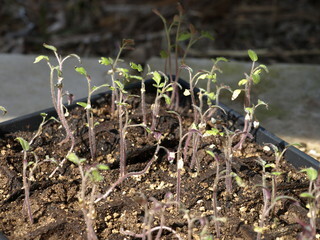 Maybe they will continue to get stronger once potted up in some better soil. We shall see. If you have suggestions to help make these littles get bigger and better, please let me know! 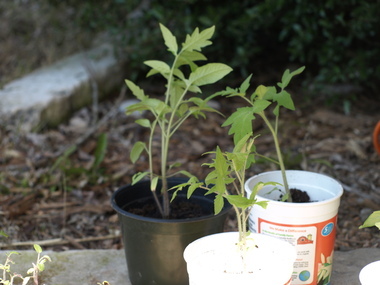 The other interesting thing I have noticed is that not all the tomato plants are the same. Hmmm. I got the seeds from a gardener in Tennessee and am curious about what the second variety will turn out to be. WOW! What a shocking different. I was pondering the use of pellets but couldn&#x27;t find any when I bought my seed. Will definitely pick some up for future plantings. Thank you for sharing this, Maggie! Any chance it&#x27;s the seed-starting mix that&#x27;s at fault rather than the peat that&#x27;s doing so well? Just wondering, since I keep on reading that peat is environmentally shady.